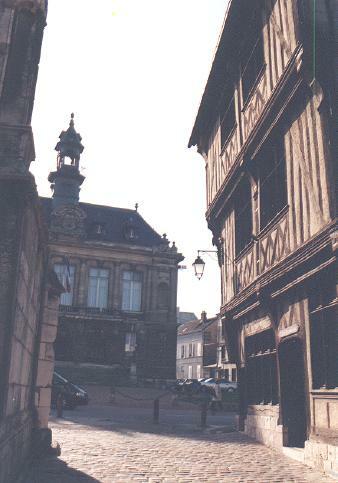 The "House of Past Times", located nearby the collegiate church and in front of the town hall, is one of the most ancient houses of Vernon (14th century). 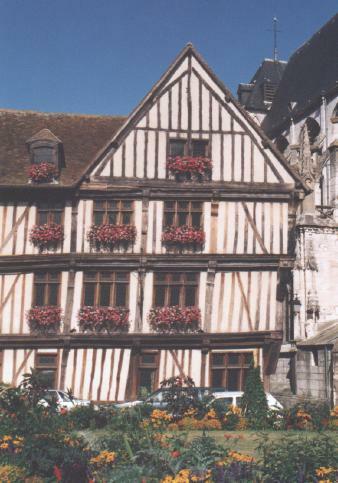 With its half-timbered overhanging walls, it is typical for the norman architecture of the Seine Valley. The timber on the corner features a beautiful 'Announciation' carved in the wood.